Laurie Here - Contemporary Fiction and MORE - Book Reviews: ENTER THE "WORST DATE EVER" #CONTEST/#GIVEAWAY 5 #Winners of a $10 #Amazon GC + Signed #BOOK! 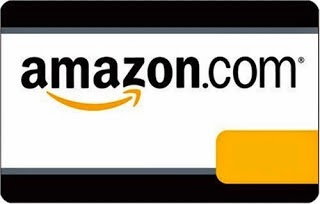 ENTER THE "WORST DATE EVER" #CONTEST/#GIVEAWAY 5 #Winners of a $10 #Amazon GC + Signed #BOOK! '5' SIGNED COPIES OF HER BOOK: "Almost Royalty" by Courtney Hamilton! To read my review about this book, click HERE! Tell Courtney what your “Worst Date Ever” experience was IN THE COMMENT SECTION BELOW! Courtney will be personally reading every participant’s entry at EVERY BLOG IN THE COMMENT SECTION BELOW and she'll pick the top 5 best stories. Contest runs until June 16th, 2014! This contest will hosted on various blogs, social media sites, and forums. The full list of participants in Courtney’s “Worst Date Ever” Contest is available on her blog at: Eco Chain of Dating! I was 19 years old and working in an office at my first professional job, and loving it. Tom, a co-worker of mine, (not his real name, but for privacy purposes I will use that name) came over to my desk and told me he had had one heck of a week. He had just graduated law school and was studying to take the bar exam while working full time in our insurance office. I had heard him earlier that day state he needed a break from everything because he was getting burned out. Later that day, he proceeded to ask if ask me if "I" was interested in going out with him for drinks after work to unwind a little before he went back home to hit the books again. He said he felt he needed a break, and that would be the perfect thing to do, if I would go with him. He said his favorite bar was in Canada. I answered him and said, "Sure thing! I'd LOVE to go!" I was thinking this was going to be super fun because he also had a yellow convertible corvette, too! You see, I don't know if this is still the case or not, but back in the mid to late 80's, the drinking age in Canada was 19, so I would be able to go and have a 'real' drink with him. He was rather handsome, too! I was dating someone, but he didn't have to know, right? Besides, this guy is just a co-worker, and it's my young life anyway, nor was it like I was engaged to the guy I was dating. I was going! The day ended, I freshened up down the hall in the work bathrooms making sure my hair and makeup looked nice, and proceeded to meet Tom in the lobby. On my way there, I could see him through the vestibule sitting in the driver's seat of the yellow convertible corvette parked, with the top down just waiting on me! I was excited! Woo! This was way cool! Soon we were on our way! We flew down the freeway, into Detroit, and crossed over on the Ambassador Bridge to Canada! I had been to Canada several times before, but where I live, The Blue Water Bridge is closer, and I was much more familiar with the bars in Sarnia rather than where we were going. I felt a little uneasy, but with the looks of Tom I could get over it, especially being in this car! It felt like we got there too fast! Darn! I would have loved to enjoy that convertible ride a little longer. We started to walk into the bar and it seemed different. I couldn't put my finger on it until I noticed where were all the women? It was all men. Oh, wait, there are two wo . . . wait, oh no! They are dressed up in drag! Tom was pulling me by the hand to go sit down somewhere. The almost naked waiter came to our table and got our drink orders. "So why is this your favorite bar?" I asked him. "Yeah, it is." he said, looking around. He must not have heard my complete question, although the music was pumping pretty loud. I looked down on the dance floor and I started to figure something out. "Is this a gay bar, Tom?" "I'm sorry, sweetie, I didn't hear you?" he answered back. "I said is this a (the music stopped and there was dead silence) gay bar?" and as soon as those last two words came screaming out of my mouth, everyone inside looked over at me! I inched down in my seat, but there was nowhere to go because it was a wire chair. I was dying! I couldn't even breathe, I was so embarrassed! OMG! I can't believe that just happened! I pinched myself to see if this was real, and I said "Ow!" Tom said, "What's wrong? Did you hurt yourself?" I answered "No! Just my pride and about 3 frogs worth!" He was laughing at 'me'! People carried on and forgot what I said that quick. Next thing I know, not the waiter, but a different man came up to and started to do a lap dance for ME! OMG! Let me think about this! Tom ordered a lap dance for me? I'm still closer to being a child than an adult! This cannot be happening! It was. He was singing an elvis song. Something about 'The Moon?' OMG! The moon is his a x x ! No! Yes! Tom was in hysterics laughing at me! He was enjoying this man, too, and my reaction! After the dance was done, (thankfully songs have endings) I nonchalantly asked Tom why he felt the need to go to such great lengths to show me he is gay. He could have just told me. He said, "I love the shock value on people's faces when they find out this way." I said, "That's not a very nice way to do it. It definitely puts the other person in a very uncomfortable position! You are disregarding my feelings about being shocked. Hey, I'm all for however you decide to live your life, but soften the blow a little!" I don't think Tom heard a word I said. He was in his stomping grounds having a ball and talking to a few friends by this time. "Hey, see that guy over there? He looks just like Dean Martin. He even goes by Dean!" Tom's cracking up! He goes on, "I love Dean Martin. Hey, after here if you want to go back to my place, I'll show you my collection of Dean Martin things." "No, thanks. I need to get back home anyway. I wasn't planning to go out in the first place. I just thought I would hang out with you for a while then go home and do my Friday night thing." Really, I just wanted to go home. I had enough shock value for one night! This was the worse date of my life. Not that Tom was gay (and it IS always the hot guys who seem to be gay! ), but the shock he just put me through, ugh! I never had a lap dance in my LIFE! The worst part was the joke was on me! Needless to say, we left soon after. That was the last time I went on a date with a hot looking guy in a classic convertible corvette with a guy who loves Dean Martin! You never would have known Tom was gay at work, although he did have a poster of Dean Martin on his wall! Hmmm? Or maybe it was better than feeling like this because when I'm around anyone who thinks their phone is more important than I am at the time, I just feel like slapping it out of their hands, and if I were her, I would have! She probably did! LOL! How RUDE! OKAY EVERYONE! POST YOUR STORIES BELOW IN THE COMMENTS! WRITE AWAY! TELL US ABOUT YOUR "WORST DATE EVER"! You know, I should have thought to say, 'Some people need to learn by hands on', so I guess that's how he was! LOL!!! He must have thought that was the only way I could learn that he was gay by 'showing me' hands on in a way! LOL!!!! YOUR girlfriend ROCKED when she said turned the guy down! AWESOME! CHICKS BEFORE BOYS! LOVE IT!!! That guy was quite the jerk, huh! Wow! Well, I hope he felt like an idiot when she turned him down! You should have bought him a cheap dictionary that had the word 'date' in it, bookmarked the page, and underlined "DATE"! Put his name on the cover with a sharpie marker, and left it somewhere he couldn't miss it! Oh, he would have known who that was from!! LOVE it! LOL!!! GREAT story! Good luck! Courtney Hamilton, the author, WILL be reading every comment on the participating blogs!! I think this is SO much fun!!! Thank you for coming by, and taking the time to write about your worst date ever! I truly appreciate your taking the time to do this! Again, this is SO much fun!! I will be announcing whoever wins on my Facebook page, too, so if you miss it from Courtney Hamilton's areas where she is posting the winner, I'll let you know who it is! It could be you! Worse date was when I was supossed to go out with my crush and i had to wait for him half an hour, ( he forgot to get my flowers ) and in that time , it started to rain and all my make-up and pretty pink dress, got ruined. Even my underwear was wt. But he still said I was pretty gorgeous. Even if I felt like a wet dog. Awwww! Did he at least take you back home to change, or did you even go back out with him after you changed? Bet you never went out with him again after that night! This IS one you would definitely NEVER forget! LOL! I will be posting whoever wins The Worse Date #Contest/#Giveaway on my Facebook page, too, in case you miss it on Courtney Hamilton's website and the other places she announces it at. Let's see, this runs until June 16th at midnight! As of today, the 4th, we have a little over 2 weeks yet to find out! THANK YOU for posting your story!! It's very appreciated! Have a GREAT summer! Hope to see you back here, too! I have a Kindle Fire Giveaway, too, and that should be posted and live by Wednesday evening, I do believe! Probably after 9:00pm! When I was in college a guy I had been friendly with in high school called and asked if I'd like to go ice skating with him. When he came to pick me up he had his little sister in the car. After skating for a while he asked if I'd like to go for pizza. We placed our order and he tells me he doesn't have enough money to pay for mine. Luckily I had money with me. Needless to say I never went out with him again. OMG! A chaperone!!! Maybe his parents required him to have a chaperone!!! You poor thing! GREAT story! BAD date! And the money thing - UGH! I'll admit I hear that often! That was in this book, too! LOL! That must happen more often than we know! I'll be posting whoever ends up winning on my Facebook page, too, in case you miss it on all of Courtney's places where she lists the winners. If you do get the book, it's on sale right now during this contest/giveaway for only $2.99 and you'll read about how Courtney gets stuck with the bill MORE than once! Thank you SO much for commenting and telling us your story! Thank you for that! I hope to see you back here, too! Every Sunday I do a blog update with giveaways, reviews, and most of all, The NYTimes Best Seller list! 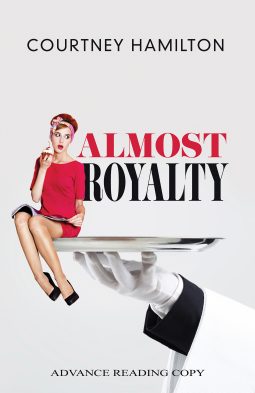 Author of Almost Royalty, Courtney Hamilton's Worst Date Ever, exclusively for "Laurie Here." I was about 17 or 18 when I got a car, a little car, but it ran pretty well. This guy-- who was kind of a bad boy, but pretty hot-- started asking me out, and frankly, I was pretty stunned, because I wasn't used to the cute-bad boy crowd being interested in me. I mean, he looked like a combination of Zac Effron and Ian Somenhalder ("Damon" on "Vampire Diaries") you know, dark hair and piercing blue eyes-- so I was a little like-- "What Are You Doing with Me?" Anyway, he invited me to go to a party with him, and as he didn't have a car, we were going to go in my car and he wanted to drive my car to the party and I was dumb enough to let him. When we got to the party, the bad-boy parked on a hill pointed up- so that it wasn't quite at the top of the hill and put the emergency brake on, the parking brake etc. but the car was still parked at a pretty steep slant. At that point, we kind of got into a fight because I said, this doesn't feel right to me, but he said the infamous "Relax, don't worry, it's fine, you worry too much." We went into the party and there were a lot of his friends there, and some of the people were about 10-20 years older and had been drinking a great deal all afternoon. At some point, one of the guys, a 35-year- old pilot who was very, very drunk said he needed to leave, and grabbed the keys to my car from my bad-boy date because he said that my car was blocking his car. The pilot ran to my car, let out the emergency brake, and my car immediately rolled down the hill at about 35 miles per hour, backwards, and crashed and rolled on the top of another car, where it stopped-- on top of the car that it had crashed into, so that it was stacked on top of the car, like a double decker? Needless to say bad boys are fun to look at, but like the song goes "if you play with fire, you're going to get burnt". It was quite interesting explaining this story to my insurance company. Wow! What an experience! That IS a worst date ever! And a pilot, no less! HA! I've heard they do like to drink. Thank God YOU were NOT in the car! I'm assuming no one was in the other car, either, or at least I hope not! I guess that pilot wasn't going to have to fly soon because they are not supposed to drink within so many hours of flying a plane! I hope it all went well with the insurance company after you explained that one!